When calling Nashville home for the weekend from your Airbnb in Lockeland Springs, it’s good to learn to speak the language. 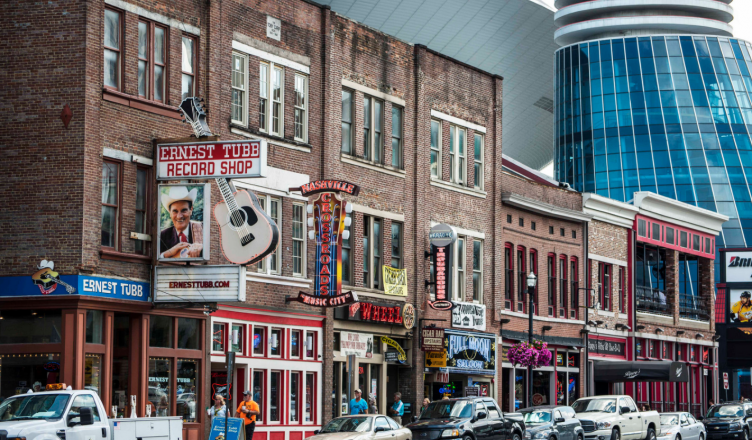 Being a Southern town, Music City is ripe with colloquialisms and sayings unfamiliar to those who haven’t picked up a book in the last 20 years. Last week, we found this list of Nashville phrases from 12th & Broad making the rounds on the internet, but we felt they weren’t entirely accurate. Don’t worry: Here at Nashvillest, we’ve got you covered. So we fixed them. Y’all: A contraction of “you all” that our former-Nashvillian-turned-Oregonian co-founder hears as frequently on the West Coast as she did in the South. Bless your heart: You’ll know it when you hear it, and you will definitely hear it if you go around trying to speak like a Nashvillian utilizing words and phrases from this list. Meat and three: You don’t need to understand. Just go to Arnold’s. God’s Country: Can refer to literally almost anywhere in the world except for Nashville. Athens of the South: It’s true, this is a nickname for Nashville, and you might even hear it on a tour of our sweet replica of The Parthenon in Centennial Park. Be careful using your newfound local lingo with that GPS though – there’s an actual Athens, TN and you don’t want to end up there. Hot Chicken: It’s true, this spicy dish is indeed our local specialty, and if you’ve had it in LA, NYC or KFC, it’s time to throw out your preconceived notions and get some straight from the source. Real talk: You’ll feel it today AND tomorrow, so don’t plan your stop at Prince’s for the evening before your flight. Pitch a fit: A common idiom; a thing that a toddler would do. Hold your horses: Another common idiom dating back to usage in Ancient Greece. Supper: A synonym for dinner, derived from Old French, and most frequently used in New England, Canada and the United Kingdom. Stompin’ grounds: Yet another common idiom that you will hear exactly zero times during your visit to Nashville. NashVegas: A word commonly used in a sentence followed up with “woooooo!” while dangling precariously from a pedal tavern. Paris: In Nashville, when someone tells you they are from Paris, they might mean Paris, TN, but they could also mean France or maybe even Paris, TX! Nashville is a real melting pot, but if you’re confused and can’t tell if the person you’re speaking with is from France or rural Tennessee, we encourage you to close your eyes and let your ears guide you to the truth. Tax-free weekend: A thing that happens in 16 states and is fairly self-explanatory. Tea: If you think the South is just sweet tea, High Garden is gonna blow your mind. Barbecue: You know what BBQ is. Veer off the Broadway-beaten-path and get your fix at Martin’s. I Believe In Nashville: In May of 2010, Nashville was nearly underwater. While we lost homes, precious landmarks and a $2.5 million pipe organ, thankfully the original Ryman Auditorium wood stage was totally fine. And we didn’t lose heart. In fact, Nashville banded together to help those who were affected without hesitation. It was the most beautiful display of unity and loving service a city could ever ask for. This has literally nothing to do with “I Believe In Nashville” (you’re probably thinking of “We Are Nashville”) but you should definitely line up at one of the city’s “I Believe In Nashville” murals for a sweet Instagram shot! The Nashville Way: Quippy slogan on expensive t-shirts, thoughtful book by Benjamin Houston, failed-mayoral-candidate’s-failed-trademark, the possibilities of The Nashville Way™ are endless. Southern charm: Every character Connie Britton has ever played on TV. Honky Tonkin’: If you’re visiting Nashville, we know you came ready to do this, so here’s a protip: Order a recession special at Robert’s Western World and enjoy the ride. It ain’t the heat, it’s the humidity: This is all we’ve got on this one. LOTG: When your friend texts you in August asking if you’d like to go to LOTG, they are inviting you to Live on the Green — Nashville’s free outdoor music festival brought to you by our beloved local independent radio station, Lightning 100. You should say yes, but you can’t because you’re just visiting for the weekend and LOTG happens on Thursday nights. Swarmageddon: You will seriously never hear a Nashville local mention the Swarmageddon of 2011, so don’t sweat remembering this one. We hope y’all love this town as much as we do!